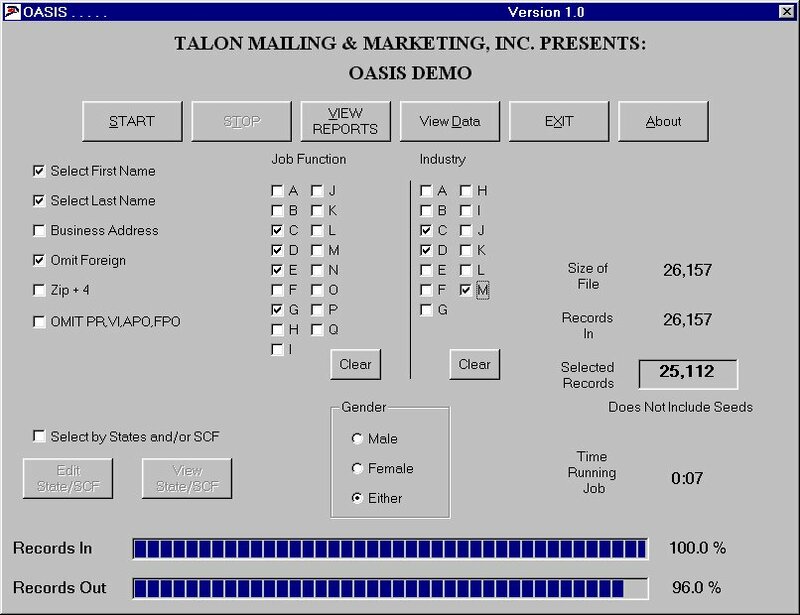 Welcome to the Talon Mailing & Marketing January 2017 Newsletter. Most businesses market their products or services somehow, with varying degrees of success. But the majority of companies get it badly wrong. Those who are able to create amazing marketing campaigns spend a pretty penny to make it happen, so up crops the issue of ROI. If you’re an entrepreneur or small business owner, it’s a minefield. You might know what you’re selling inside out. You might even know your audience…but you’re still going to have to make some good decisions. Tip 1: Choose the right marketing strategy. There are so many types of marketing out there. Ensure that you pick an appropriate marketing strategy and not just whatever’s in vogue. For instance, there’s no point heading to social media if your audience won’t be there. Work out your goal, assess what resources you have available and take an overview of your market. Then plan the best way of getting from A to B. Tip 2: Become more efficient. A recent article on Copyblogger.com, claims that the best content marketers are lazy. The reason behind this is that being lazy isn’t always bad. In this context, the idea is that lazy people will always look for systems and processes that will save time and help them become more effective. So, whatever marketing strategy you’re executing, ensure that you’re leveraging your time well. Marketing plans should be repeatable. This is a biggie that most business owners will identify with. As a copywriter, I’m big on perfection. In some ways, that’s a good thing. At other times, it really holds me back. When you’re a business owner, you can’t wait for the perfect set of circumstances to execute a marketing strategy. If you’re avoiding doing something, for whatever reason, tell yourself that your marketing collateral doesn’t have to be perfect. I don’t think customers expect you to create flawless marketing. Tip 4: Understand human psychology. No matter whether it’s B2B, B2C or B2P marketing, we’re still talking about communicating with humans. Essentially, it’s all the same; it’s all selling. And, by appreciating how we’re influenced by different words and images, you can greatly increases the chances of success. By way of an example, take trade marketing. There’s a growing trend for marketers to combine trade marketing with shopper marketing. They’re doing that because they have so much in common that it makes sense to. Manufacturers use trade marketing to create demand for their products with retailers, wholesalers and distributors. Meanwhile, shopper marketing traditionally concentrates on influencing consumers at the point-of-purchase. But the point is, a good trade marketer will understand both the product and the market. They’ll know what their audience wants from their product and how to affect consumer behavior. Perhaps it’s the language in the product description, the color of the packaging or the price point. Regardless, he or she is therefore likely to be able to market accordingly. Tip 5: Mindset is everything. If there’s one thing I’ve learnt from writing 1,000s of marketing messages, it’s that you have to believe in them if they are to be of any use. There’s no reason to be backward in coming forward. A product or service has been created so that it solves a problem and can be solved. I think that marketing should be pretty aggressive. Otherwise, what’s the point? But creating the right vibe around a product can be tricky if you’re not in the right frame of mind. Be positive. Know your products’ strengths. Direct mail is making a comeback. While some marketers are quick to turn to digital marketing, ignoring more tangible tactics like direct mail may be a missed opportunity. In reality, communicating via email is impersonal and snail mail connects in ways that other media can’t match. According to the United States Post Office (USPS) and the Direct Marketing Association (DMA), 70% of Americans said snail mail is more personal than the internet. In fact, the most successful email marketing messages are those that actually look like a personal email. A simple subject line like “question for you” will likely outperform something that appears much more commercial. Personalized messaging directed at the right target audience is critical with direct mail as well. Studies have shown that an individual or organization needs to make multiple impressions on a potential client in order to build trust, confidence and a positive reputation. From this research, a rule dubbed the “Rule of Seven” by Dr. Jeffrey Lant says that contact should be made with potential clients a minimum of seven times within 18 months for them to remember the marketed person or business. 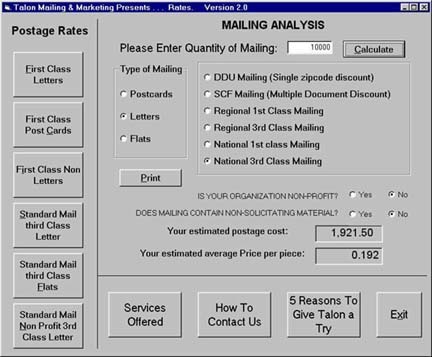 While email is much cheaper than direct mail, remember that you’ll often get what you pay for. Our data has shown that email marketing is far more effective when used as a follow up with prospective clients who entered your client acquisition funnel through different means. So how can advisors improve their direct mail marketing efforts? Here are eight items to keep in mind. 1. Know When to Use Postcards - One of the most effective ways to communicate via direct mail is by using postcards. Beyond just being cost effective, the postcard is a valuable marketing tool because of the visual impact it can have on the consumer. Postcards also have a higher read rate than other direct mail. 3. Define and Target Your Market - Message-to-market match is critical to the success of any marketing campaign, whether it’s direct mail or otherwise. You can have the strongest headline in the world, but if there is not a message-to-market match, the campaign will fail miserably. Define your market and cater the headline and message to speak directly to that consumer. 4. Don’t Be Afraid to Experiment - Marketing is all about trial and error, so don't be afraid to experiment with direct mail campaigns. A/B split testing is imperative. The most common mistake when testing copy is too much change all at once. Typically, it's advised to change one variable when conducting split tests. For example, change the headline, or change the size of the postcard, or change the font. Just don’t do it all at once as you won’t be able to track what change actually contributed to better (or worse results). Be sure when testing to use a large enough sample size. Consider a minimum of 1,000 per split as the low-end starting point. 5. Ugly Outperforms Pretty - It’s easy for smaller firms to exhaust too many resources on creating a campaign that looks pretty. In fact, if you hire an outside design firm to help, you’ll find that designers will go to great lengths to make a piece pretty. They have to justify their costs, right? More often than not, ugly will outperform pretty when it comes to direct mail marketing. Put the focus on the title, copy, and call to action rather than making a piece pretty with graphics and pictures. 6. Know Your Audience - If you’ve hired a marketing design firm and insist on making your marketing pieces look pretty, put the focus of those efforts on your existing client base. At this point, your brand and picture comes more to the forefront. With any marketing effort, be sure to define what success will look like and use your intended audience to dictate what the marketing piece will look like. 7. Diversify - Seasoned investors diversify because it is the smart thing to do. The same holds true when it relates to marketing efforts. Approaching a marketing campaign from a digital perspective (email/social media), in addition to direct mail efforts will have a much greater opportunity for exponential success. 8. Data Quality is Critical - There isn’t a day that passes where I’m not offered the opportunity to purchase a list of “qualified prospects.” Using the right data provider (consumer lists) is of equal importance to that of having an effective title/headline. In the world of lists, there are data compilers and there are data resellers. Do your homework to determine who has the cleanest data for the specific demographic you are looking to reach. Not all lists and data providers are created equal. Purchase new lists regularly, as the average person in the United States is expected to move more than 11 times in their lifetime, according to the Census Bureau. This means that your list will “turn over” as much as 25% annually. Direct mail's a great way to personalize your marketing and guarantee your message reaches recipients (unlike other types of marketing). Using postcards saves you money over other, bulkier forms of mailers while allowing you to connect with your local market. Of course, if you’re conducting your own postcard marketing campaign, you may end up understandably underwhelmed with the results. You needn’t go it alone or reinvent the wheel, though. You’re not the first company to use direct mail marketing and there are companies that specialize and excel in this very field. That said, you want to go beyond the basics, and there are a few simple tips and tricks that could help you to supercharge your efforts and boost results. Here are some options to take your postcard marketing campaigns to the next level. 1. Understand your target audience. You have a basic understanding of the design elements you need to include in your direct mailers, and you even have some ideas about attractive layout and design. It’s all for naught if your target audience doesn’t find your postcards appealing, though, so you have to market to your specific demographic. What does this mean? For one thing, men and women are attracted by different colors. If you’re marketing to women, you don’t necessarily want to utilize a color palette that is more attractive to men. The content you use, both text and images, should also be tailored to your target market. Small tweaks that appeal to a target group could significantly improve your results. Your goal in sending out postcards is almost certainly to raise awareness of your business within the local community. From there you need to bring in business. You can do both with direct mail by offering something enticing, from unique products or services, to discounts and deals. It almost goes without saying that you need to incentivize consumers to get up off the couch and visit your place of business or call for an appointment if you’re a service provider of some sort. Whatever you offer through your mailer has to be worth the effort. This comes back to understanding your audience. What do they want? What problem do they have that you can solve? Once you answer these questions you can figure out how to spice up your offers to see greater ROI. Follow-up increases awareness and recognition, improving your odds of seeing a response. No marketing effort should be stand-alone. You should therefore pair postcard mailings with other marketing efforts like phone calls and/or an online campaign to boost results. 4. Maintain current mailing lists. This is a biggie. If you want to see the best results from any marketing campaign, you need to focus on the audience that you already know has an interest in what you’re offering. Then you can use meticulously-crafted postcard mailing campaigns to grab their attention and convince them that your business is the one they need. Enjoy a great day of Basketball! We are giving away two tickets to see the Brooklyn Nets. All you have to do to win is be the first telephone caller (please don’t hit reply or send an email). Voice mail messages count so it's fine to leave a message. Call Michael Borkan at (631) 667-5500 x 11. These tickets are great seats! Tuesday January 17, 2017. Nets vs. Toronto 7:30 PM. To learn more about our company, please visit our Web site: www.talon-mailing.com or contact Michael Borkan at (631) 667-5500 x 11. Gomix.com - With working example apps to remix, a code editor to modify them, instant hosting and deployment - anybody can build a web app on Gomix, for free. Teleport.ninja - Turn any video into a website. Create an immersive interactive experience in a matter of minutes, with a simple video, and engage your audience in your story. Serialreader.org - Read classic literature in daily bite-sized bits. Twenty20.com - Photography for the rest of us. Real-world stock photos. For creatives. By creatives. Usecalltoaction.com - Find and contact your Congressional representative. Calling the district office of your Congressional rep is the most effective way to get government to listen to you, according to political staffers. Ava.me - Ava is the fastest and easiest way for deaf & hard-of-hearing people to understand and participate in conversations with people who can hear. Do you need help marketing to your clients? Talon can help! Call Michael Borkan at 631-667-5500 x 11 to learn how to increase revenue. Click here if you wish to see past newsletters.